We are professional rgb cct led spot light bulb factory and supplier in China.We can produce rgb cct led spot light bulb according to your requirements.More types of rgb cct led spot light bulb wanted,please contact us right now! 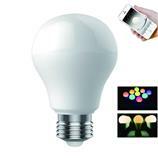 RGBW A60 led bulb with very competitive prices are getting more and more popular in this market.RGB color changing,2700-6500K CCT changing,all color dimming.Various control group and modes.easy operated by mobile app,switch,remote controller. 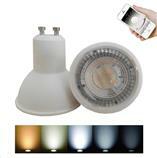 New arrival GU10 LED spotlight with CCT changing and dimming function.AC100-265V input for worldwide voltage use. 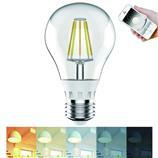 A60 LED filament lamp is designed with CCT 2700-6500K changing and dimming function.Easy operated by Mobile App,Switch,Remote controller.